What an amazing scene of the two species running together. Well done. I love seeing the young Zebras. Very nicely composed as they streak across the creek. Wonderful to see the zebras in so much action--wildebeest next...what a great opportunity. 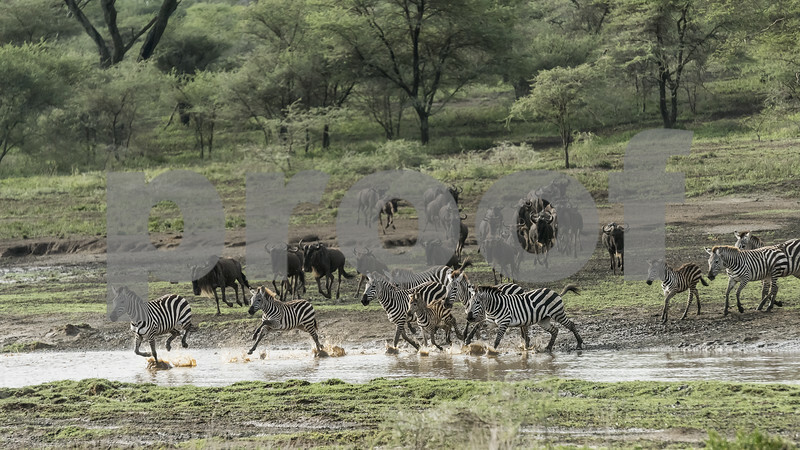 Fantastic capture of all these animals running through the water...super action!